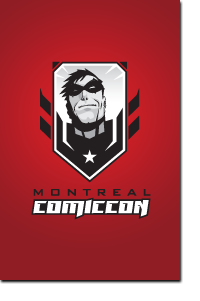 So in 8 days the big show aka Fan Expo Canada starts at the Metro Convention Centre. This year the show is so massive they had to add a second building and for the first time ever the event will be in both the North and the South Buildings. Most of the comics folk are in the South Building though, and that’s where the comics programming will be as well. 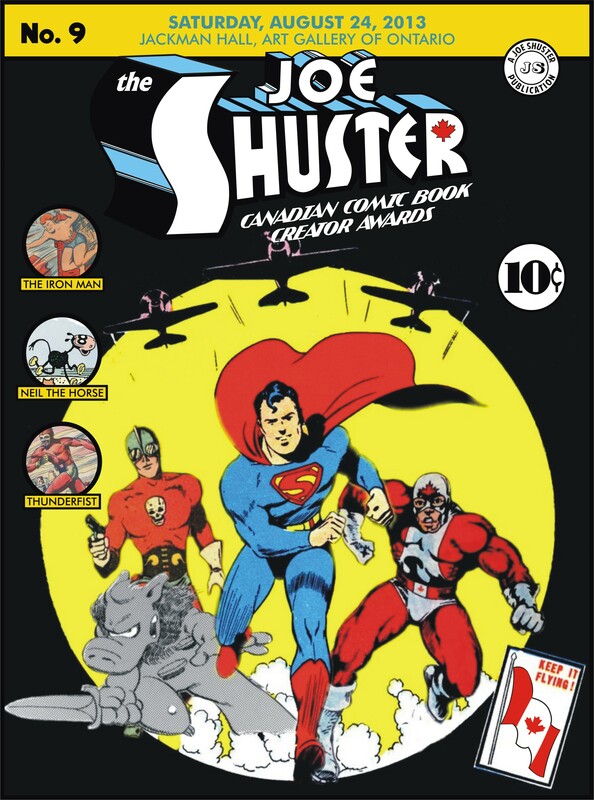 Many Joe Shuster Award nominees and winners (past and present) are at the event, and we encourage you to visit the website to look at the floorplans and schedules. 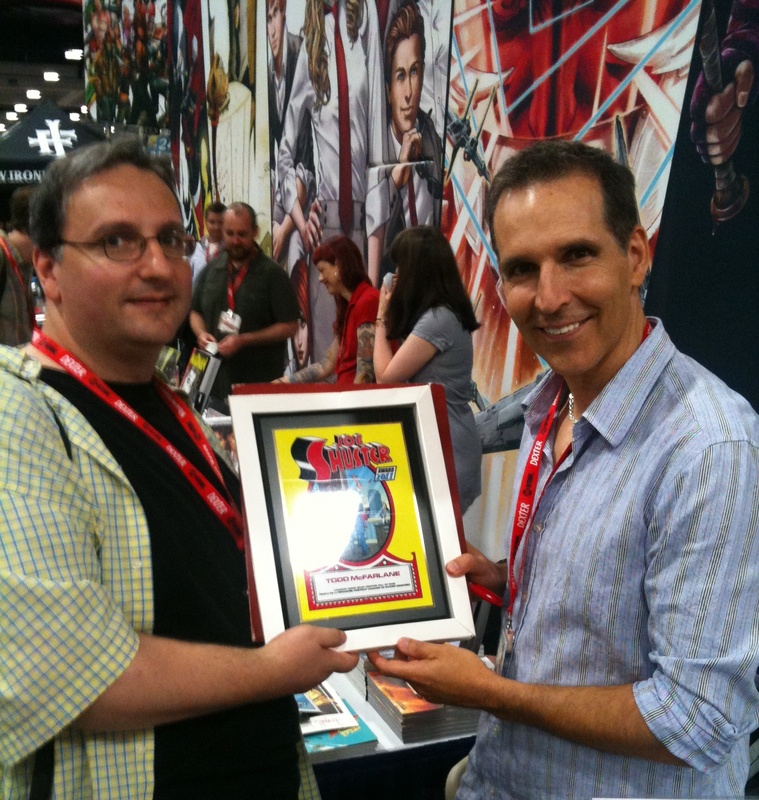 2011 JSA Hall of Fame inductee TODD MCFARLANE is a headlining guest. Full guest list here. Our retail sponsors The Dragon and The Comic Book Lounge (my store) will be in the dealers section along with Harry Kremer award winning retailers Big B Comics (Hamilton) and the Silver Snail (Toronto). With projects like the True Patriot anthology, the Captain Canuck webseries, the Lost Heroes documentary, The Wolverine movie and more – are we witnessing a Canadian superhero renaissance? Where is this all coming from? Does the industry need this? Will the market support it? Are Canadian superheroes poised to be the next big thing in comics? 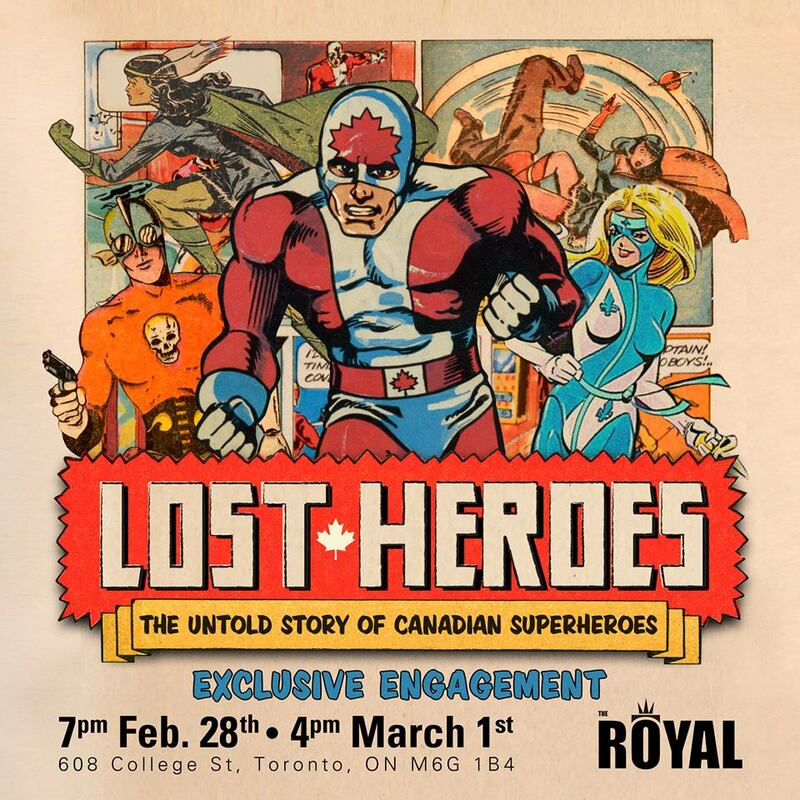 Join moderator Fearless Fred and panelists Jay Torres (“True Patriot”), Ramón K Pérez (“True Patriot”), Mike Valiquette (“Captain Canuck”), Hope L Nicholson (“Lost Heroes”), and Kevin A. Boyd (“Joe Shuster Awards”) to discuss The Canadian Superhero Renaissance. 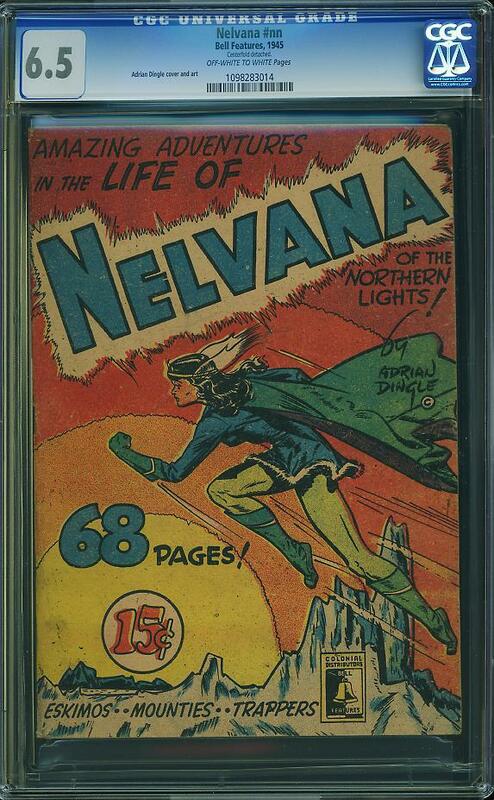 During WWII the Canadian government initiated the War Exchange Conservation Act and Canadian artists stepped up to fill the void of comics on our newsstands. 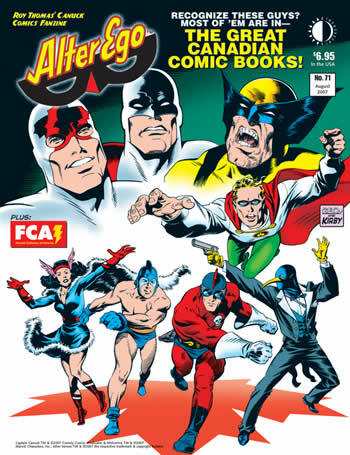 Join moderator Ivan Kocmarek and a panel of industry experts as they discuss the first age of Canadian comics and characters like Iron Man, Johnny Canuck, Freelance, The Penguin and many other forgotten heroes and their impact on Canadian-made comics. Honest Ed’s and Mirvish Village for sale – and with it over four decades of ties to Toronto’s comics community. 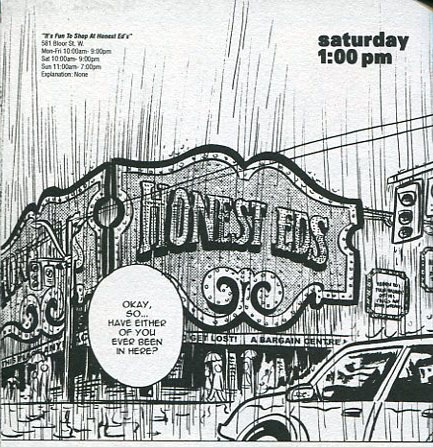 Torontonians awoke earlier this week to news that David Mirvish had decided to sell Honest Ed’s, the store founded by his father in 1948 and a Toronto landmark of sorts (featured prominently in the graphic novel series Scott Pilgrim by Bryan Lee O’Malley). The estimated $100 million dollar property was to include the 160,000 square foot retail store as well as 190,000 square feet of additional property. Comics aficionados perked up — what does this mean for THE BEGUILING (Harry Kremer and Will Eisner Award Winning retailer) and the affiliate store LITTLE ISLAND COMICS? 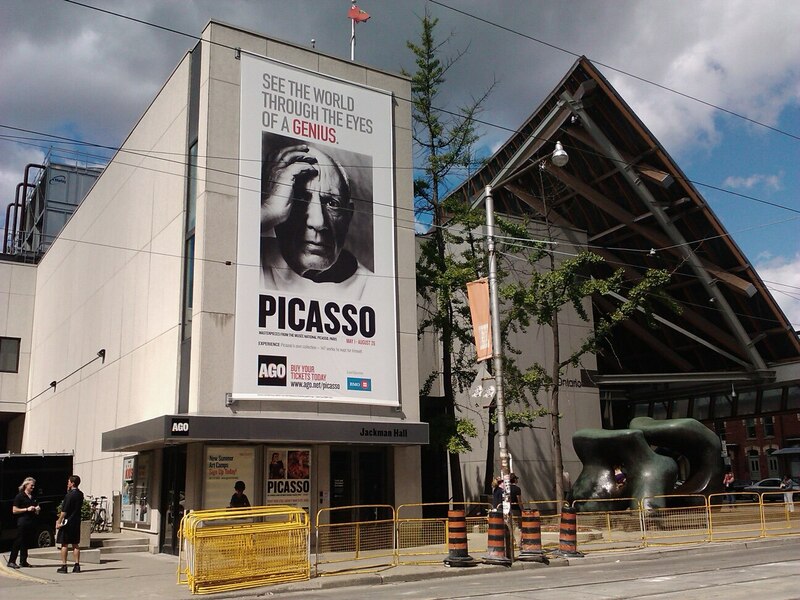 Both are located on land adjacent to the Honest Ed’s property. Not only that, but older fans will know the area has ties to the comics community that go back to the late 1960’s. The building that houses the Beguiling is part of the $100 Million land package currently up for sale. This morning, the Toronto Star confirmed that the 190,000 square feet of additional property does include all of the properties known as Mirvish Village – a series of mostly Victorian era homes that have subsidized rents to arts based businesses and studio spaces for working artists. Graphic Courtesy of the Toronto Star. David Mirvish indicated in the Star article that the existing tenants would have about 3 years to relocate. While this is not unusual in Toronto – Silver Snail had to relocate from it’s traditional home on Queen Street last year when the building it was in was sold to developers some years prior, and Dragon Lady Comics closed in early 2012 when rising rent was enough of a discouragement for that business’ owner to call it a day (although the new comics side of the business transitioned to the Comic Book Lounge just east of the old location). Even One Million Comix has had to make a couple of jumps over the years, having occupied three different store fronts in 2 decades. 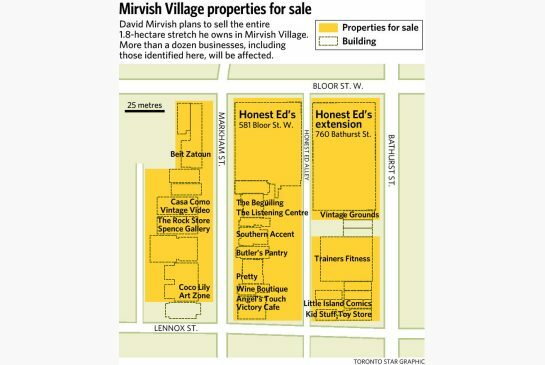 However what is unfortunate is that with the sale of Mirvish Village, Toronto loses an area with strong ties to the comics community that has been virtually preserved since the 1960’s. Mirvish Village was the home to Canada’s first comic book store MEMORY LANE, established by “Captain” George Henderson in 1967. Memory Lane at 594 Markham Street would survive in the area for almost two decades. 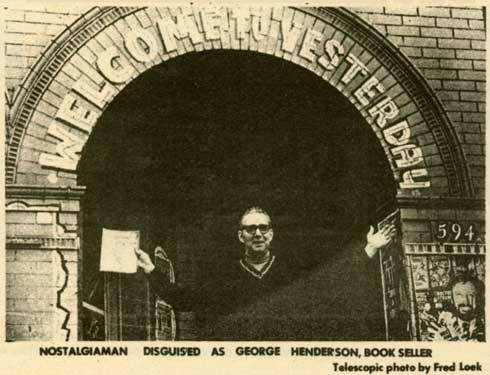 The shop closed just prior to Henderson’s passing in 1992. Mirvish Village was home to one of Canada’s first comic book conventions, THE TRIPLE FAN FAIR in 1968, which included a visit from Marvel Comics spokesman Stan “the Man” Lee and a Tarzan exhibit. The second Toronto Comic Arts Festival was held in the large parking lot adjacent to Honest Ed’s Alley (behind the Beguiling) in 2005. 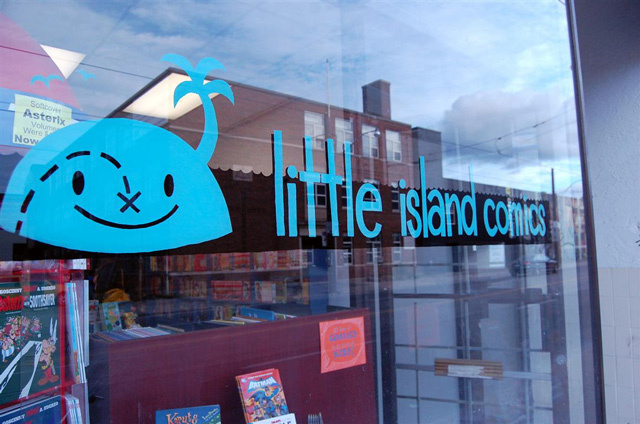 Little Island Comics (on Bathurst Street) occupies space that used to be the home of YESTERDAY’S HEROES, which closed in 2010. As they say in the comics, to be continued…. 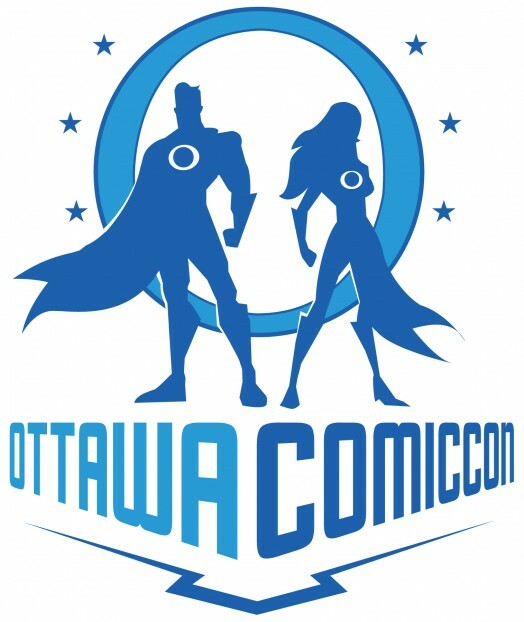 The Ottawa Comiccon will take place at the Ernst & Young Centre from May 10-12, 2013. It also has many comic creator guests attending on top of a gaggle of tv actors and celebrities – please visit the official website for the full list of those attending. Happenings: This weekend #1 – Toronto Comic Arts Festival – May 11-12, 2013. 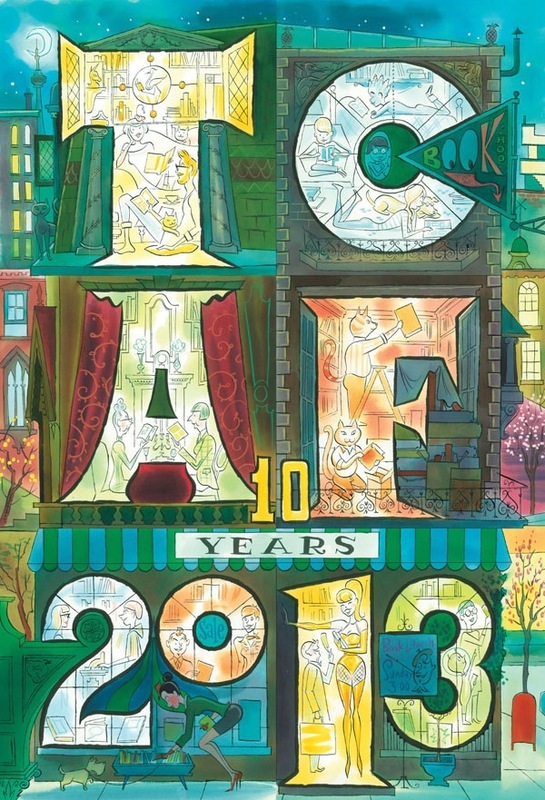 TCAF is The Toronto Comic Arts Festival. It is a week long celebration of comics and graphic novels and their creators, which culminates in a two-day exhibition and vendor fair featuring hundreds of comics creators from around the world. Other Festival events include readings, interviews, panels, workshops, gallery shows, art installations, and much more. TCAF is held at Toronto Reference Library in Toronto, Canada. In past years, I’ve listed all of the guests — there are many — the full list can be found on the official website. Happening this weekend in Vancouver, the 2nd Fan Expo Vancouver brought to you by the people at Hobbystar Marketing. Comics people and celebrities abound. I had a good time at this event last year, let’s hope that things are just as good or even better this year. Make sure you say hello to Leonard Wong at the Comics Legends Legal Defense Fund booth. The Calgary Comic & Entertainment Expo is the only festival in Calgary where you can get your sci-fi, film, television, fantasy, horror, comic book, gaming, and animation fix all in one incredible weekend. Join 60,000 other fans for this celebration of pop culture April 26-28, 2013 at the BMO Centre, Stampede Park. This year the Calgary Expo will feature a variety of guests from different industries. From film and television stars to make-up artists, to writers, to comic book creators, to cosplay specialists and so much more – the Calgary Expo covers every corner of pop culture imaginable! 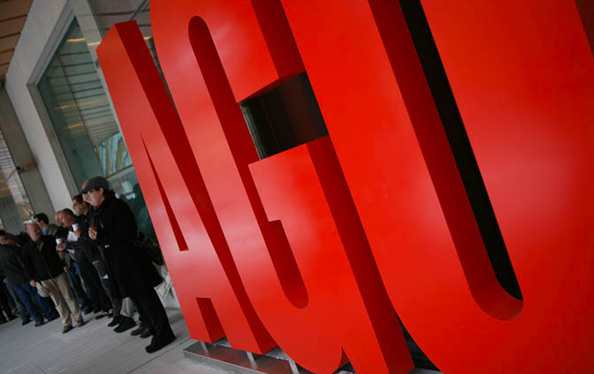 We’ve got over 600 exhibitors, artists, and special guests, all in one spot! We have adopted a lot of the successful operational components from the Edmonton Expo into the 2013 plan for the Calgary show so as to ensure that crowds and lines will be more effectively managed. If you have any concerns about how we’re going to manage 60,000+ people at the Stampede Grounds this year, please feel free to visit our FAQ for more information. Tickets are now sold out online with the exception of children’s passes. Please visit our Buy Tickets page for a list of retailers who are selling passes in their stores, as some of them still have passes available. Children’s passes (kids aged 3-12) must also be purchased in advance. 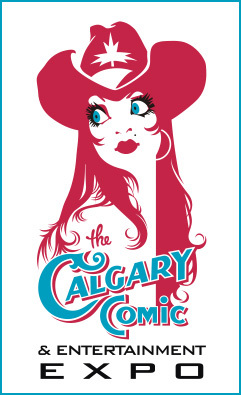 To purchase your children’s passes for the Calgary Expo please click HERE. To purchase tickets to the “Weird Al” Yankovic concert please click HERE. For up to date information, announcements, and news, be sure to follow us on FACEBOOK and on TWITTER. Les Prix Bedeis Causa will be presented on Thursday! 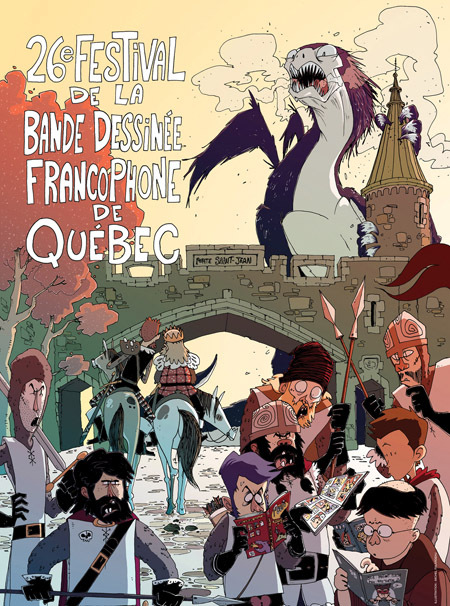 Rendez-vous annuel des passionnés du 9e art, le Festival de la bande dessinée francophone de Québec (FBDFQ) offrira cette année encore un événement haut en couleur, du 10 au 14 avril prochain, à l’occasion de sa 26e présentation. L’événement, qui se déroule dans divers lieux culturels de la ville et notamment au Salon international du livre de Québec, présentera une programmation riche et diversifiée, sous le signe de la découverte. De nombreux auteurs seront présents pour rencontrer les lecteurs et permettre au public de se familiariser avec les différentes facettes de la bande dessinée. 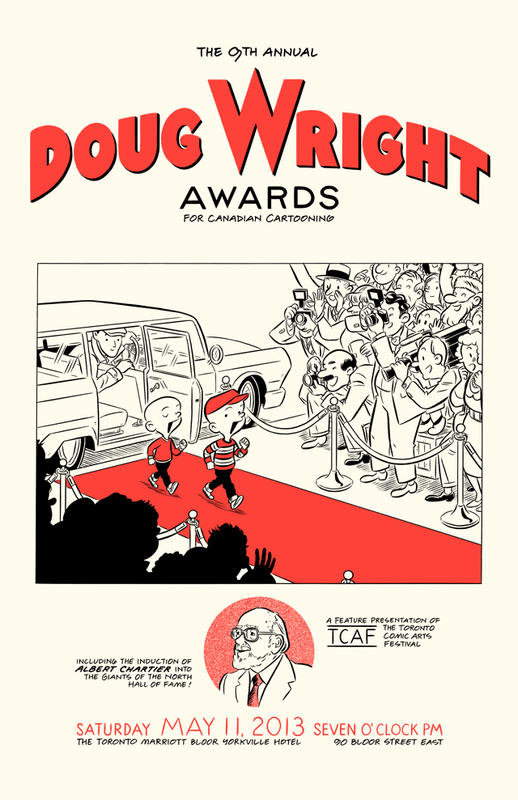 L’affiche de cette 26e édition a été réalisée par l’auteur de Québec, Michel Falardeau, qui s’est démarqué lors du dernier Festival international d’Angoulême en se méritant le Coup de cœur du jury du prix ActuaBD/Conseil Général des Jeunes de Charente pour son album French Kiss 1986 (Glénat Québec). 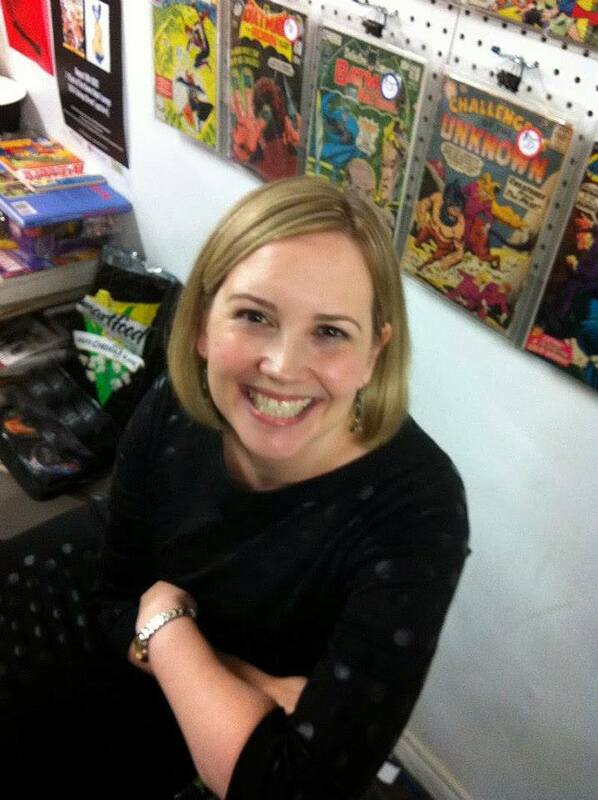 Want to meet leading graphic novelists and picture book creators? Or take part in a giant comic mural? 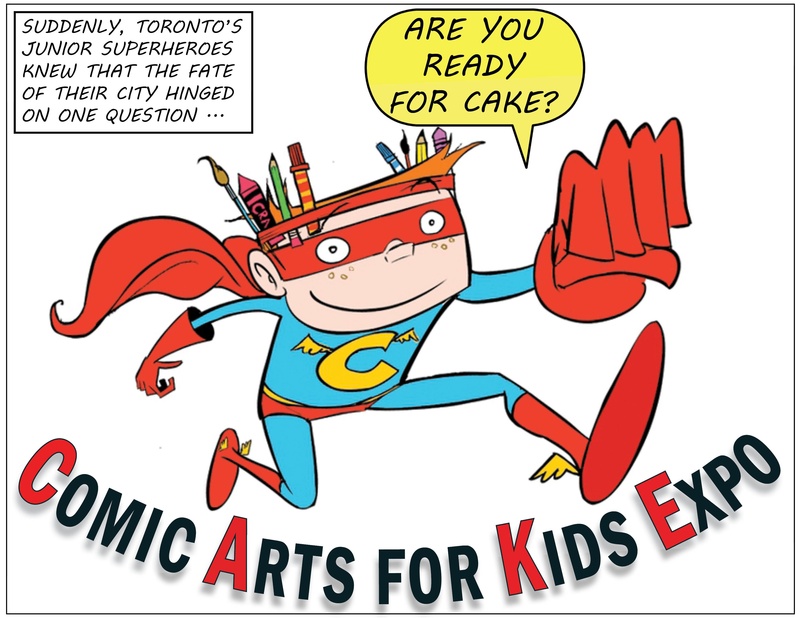 Toronto’s future superheroes can do both at the Comic Arts for Kids Expo (CAKE), a daylong celebration of image-based storytelling for readers ages two to thirteen. 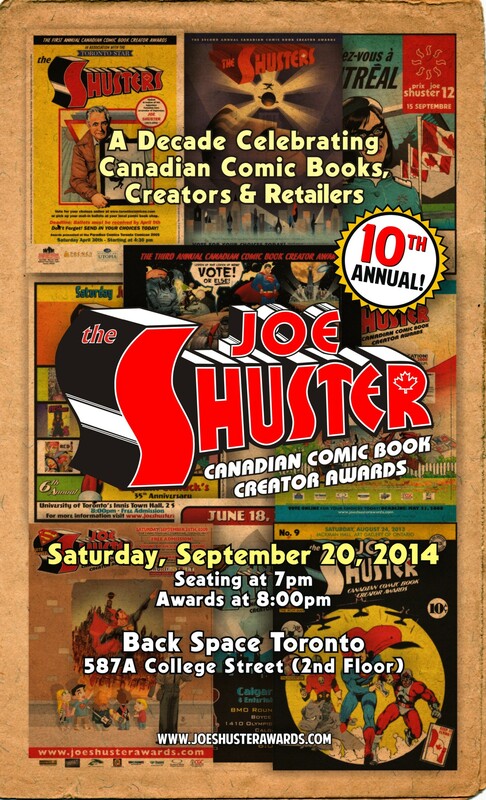 This event is co-presented by Small Print Toronto, Little Island Comics and the Toronto Public Library. Throughout the day, authors will sign and sketch in their books. Everyone who attends CAKE can contribute to a series of giant comic book panels. And the Little Island Comics team will be on hand to assist collectors of all ages. 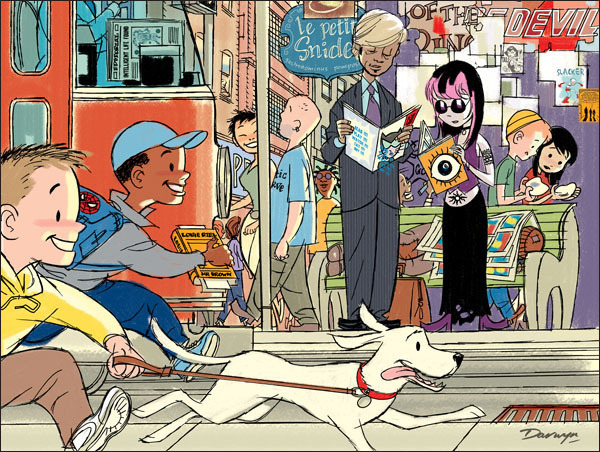 The two to eight set can spend the morning exploring an ocean of activities in the DIY Comics Lab, featuring leading picture book artists Brothers Leung, J. Torres, J. Lum, Patricia Storms and Frank Viva. The afternoon is filled with workshops for the eight to thirteen set, conducted by an all-star roster of graphic novelists — Claudia Davila, Steve Manale, Evan Munday and J. Torres, plus the creative team behind OWL Magazine‘s popular Max Finder Mystery series (Craig Battle, Natalia Diaz, Liam O’Donnell and Ramon Perez). Admission is free but space is limited. For more information on the offered workshops and to sign up early, click here. Immerse yourself in the world of DIY publishing! 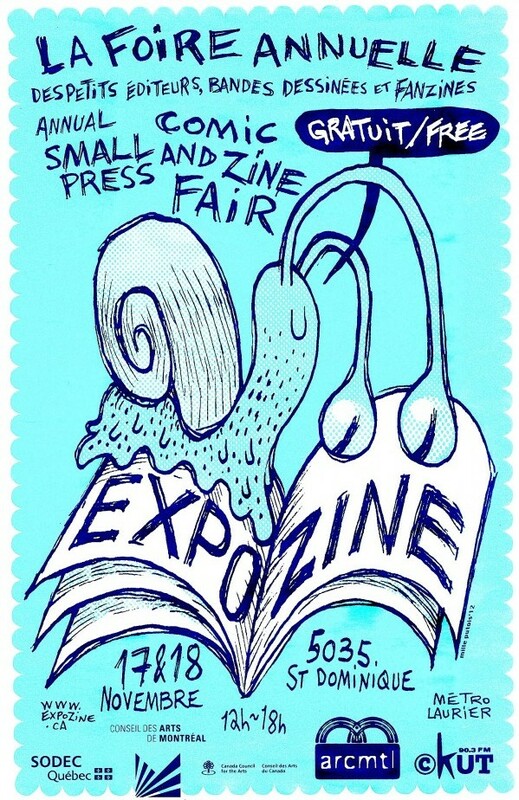 The massive Expozine is a unique showcase of the best books and zines that today’s small presses and self-publishers have to offer! Literally thousands of different publications can be found at Expozine, and hundreds of authors and artists that make them, making this weekend one of the most impressive gatherings of local talent in Montreal.